The Garden Party baby is talkative, fun and dreams of being a big girl one day. A big girl who loves spinning until she is wildly dizzy. 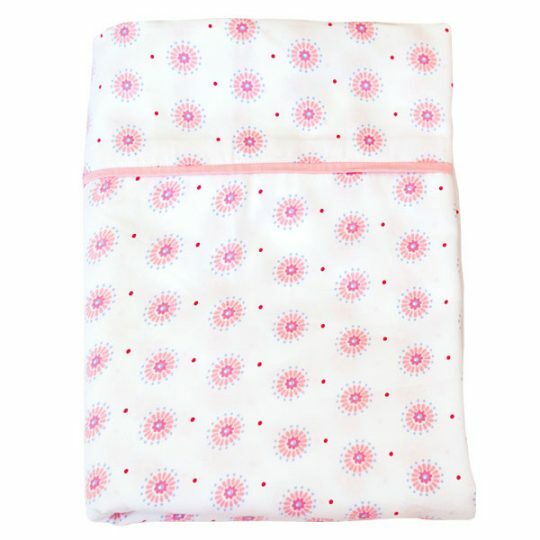 Additional cot sheet sets and single cot fitted sheets are available in daisy and bloom fabrics. 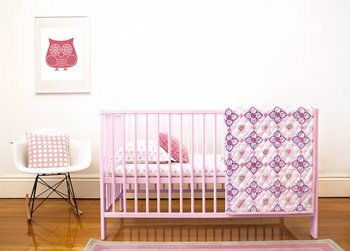 Habitat Baby linen is made from certified organic cotton (by GOTS). 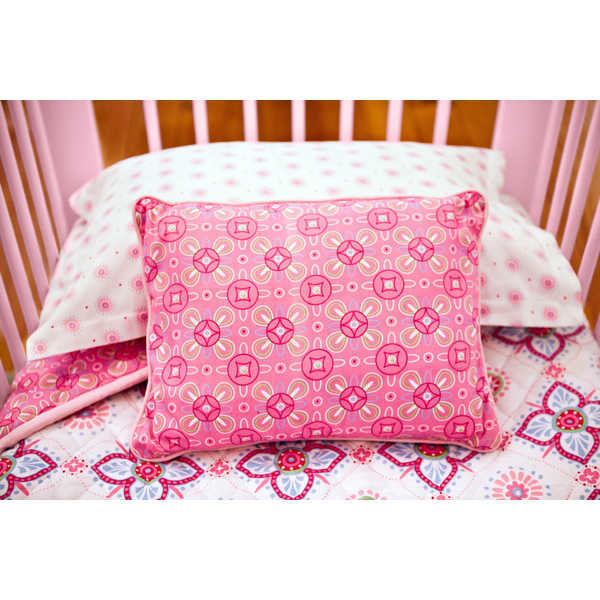 The cot quilts and throw pillows are made from certified organic cotton but due to their recycled polyfilling are certified by the organic exchange. Thread count defines the number of warp and weft yarns per 10 square centimetres of cloth. The finer the yarns used, the more threads that can be woven. Basically the higher the thread count the softer the feel and the better the quality. 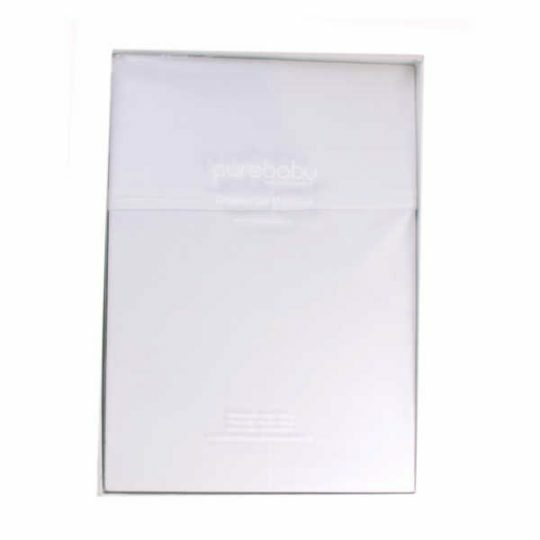 Good quality cotton sheets usually have a thread count of 200 plus. 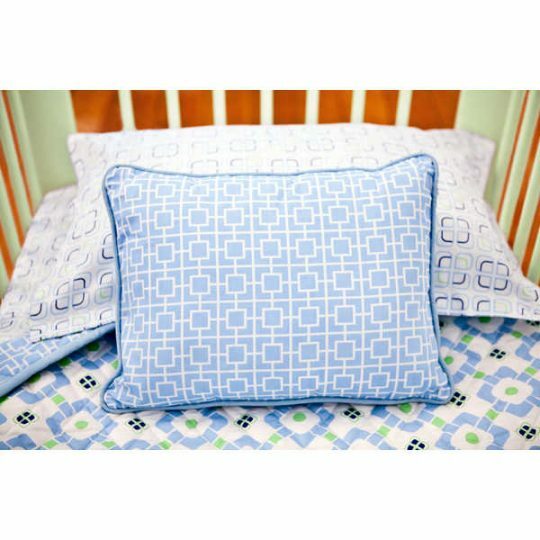 Habitat Baby linen is 300 thread count.